Discover a simple, everyday practice… for connecting with your loved ones on the other side and unlocking powerful messages from heaven. After a decade of living and working as a successful psychic medium, I can safely say that I’ve connected thousands of people with their loved ones on the other side, and communicated countless messages from friends, family, loved ones, and even pets! In this powerful 3-lesson online video course, you’ll learn how to understand the language of spirit, open new channels of communication, and interpret them with ease. The one thing that all of these messages have in common, is how much healing, comfort, and closure they’ve brought to the people they were meant for. So I’ve taken the very best of what I’ve learned and designed this healing program to bring you practical and useful tips on how you can connect with your loved ones on the other side and discover the messages that are waiting for you. You’ll learn how to recognize the unique ways in which spirit can reach out to you, how you can open up to receive these messages, and most importantly… understand what they mean. 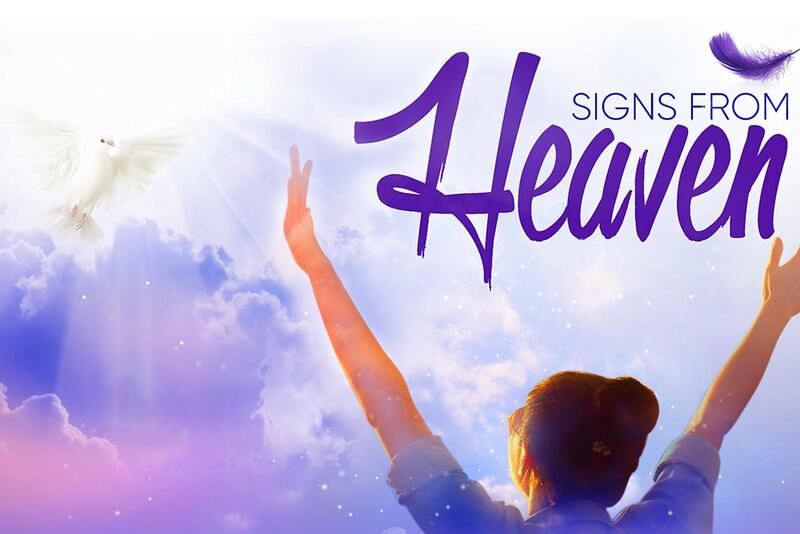 So in other words, Signs from Heaven is really about showing you how to awaken your ability to see, hear, feel, and interpret the messages from your loved ones on the other side. So I invite you to sit back and relax… and join me as I bring you the very best of my teachings… from the very basics all the way to advanced techniques. And the only thing I ask is that you bring an open mind, a hopeful heart, and a willingness to create space in your life for this kind of profound healing. And perhaps most importantly, prepare yourself for the messages that are already coming your way! When we lose a loved one, it is said that grief comes in waves. Some days the waves are small and gentle, and other days, they can be powerful tsunamis of feeling. Times of transition can bring especially powerful feelings of loss and grief. Have you ever heard the saying that sharing grief cuts it in half? During times of transition, reaching out to our loved ones who have passed, can help cut the grief in half because we are sharing those times with them. Many people focus on weddings and big events and think those are going to be the hardest times when they’ll miss their loved ones the most. But often it is the feelings that come with the smaller events that hit us hardest. Sometimes those are the ones we are not prepared for. In the fall, the start of a new school year is very hard for families who have recently lost someone. “My mother used to walk my son to school every day. I can’t bear the idea that she’s not here to walk him to school anymore.” I hear things like that a lot. Social media has a way of reminding us where we were five years ago or two years ago, and if those reminders come with a picture of someone who is no longer here sharing a special event, that can be very painful. There are ways to help ease that pain by including loved ones in Heaven in your special times. If your mom used to walk to school with your child, find something special to serve as a symbol or reminder of her -a favorite photo or trinket. You can put it on your child’s backpack or inside a pocket as a reminder that your mom is still there. When the school celebrates grandparents day, take a picture of grandma and encourage your child to tell stories of wonderful memories with their beloved grandparent. Your loved ones want to connect with you during transitions. These times that are special for you are special for them too. A woman wrote to me recently to tell me about her son starting university this fall. “His grandfather would be so proud of him,” she told me. “My son is the first grandchild, and my father loved him so much.” Her son had been accepted to a prestigious university and was waiting for his dorm room assignment. “My son was so worried he would get a room with three roommates,” she told me. “He is introverted, and he likes to have space to himself to compose music and solve complicated equations. I was worried about how he would handle having roommates.” On her father’s birthday, the whole family was feeling sad, missing the man they all loved. That afternoon, her son got an email telling him he had been assigned a single room. No roommates. “We were so happy,” she said. “I told my son, that’s your grandfather’s doing. He made that happen for you.” She realized her father was with them all, and their grief was cut in half. Big shifts in our lives, transitions, special events, new beginnings are often the times when our loved ones send the strongest signals. Just as they want to help us cope in the difficult times, our loved ones want to be with us to celebrate our joy. When you are facing a transition, and someone is missing, bring that person into the mix with a picture, a special object, a piece of clothing or even a ritual that reminds you, and reminds them, that you know they are always with you. My child has been telling me that he has been seeing people who have died. Is my child psychic? What is an Indigo Child? 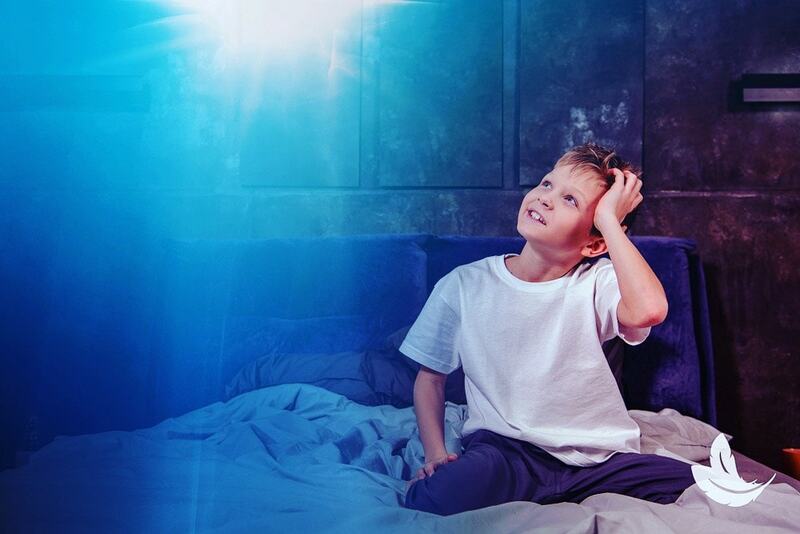 Do you have a child in your life that shows signs of heightened awareness or psychic gifts? It’s likely you do! Children are more open to spirit because they haven’t learned to be skeptical yet and don’t close themselves off to the unknown the way adults do. Not to mention, those in Spirit LOVE visiting and playing with newborns and young children. After all, we do meet all of our departed family members in Heaven before we are even born. When I was a child, I heard whispers and voices in my empty room and saw shadowy images that frightened me. My mom and grandmother were both psychic, so it shouldn’t have been a surprise to anyone that I inherited their gift, yet it was still difficult for me to accept. I was so reluctant to accept my abilities that I tried to shut them down and bury them completely. I’ve learned that this is not uncommon for psychic children. Most children will see the souls of family members that have passed on when they are little. Later on, as they become older those abilities fade away, but for some, they remain and become stronger and stronger later becoming known as being “Psychic”. In my case, my mother knew how to soothe my fears, but I still rejected my abilities until years later. Many times, ghostly visions and sensations are overwhelming to children, and their parents don’t know how to help them understand and control their abilities. Parents may be scared that there’s something wrong with their child or dismiss their child’s abilities as the product of overactive imaginations. That can make children reluctant to tell their parents, to tell anyone, about what they are seeing or sensing. As they get older, they learn to suppress their gifts. These days, more and more children are born with heightened sensitivity. Lots of people feel that they have been sent here because the world needs the light that these beautiful young souls can deliver. It’s the responsibility of the adults who love them to nurture their gifts and help them accept how special they are. You may have heard people talk about Crystal Children, Indigo Children, and Rainbow Children. These are terms for special types of children who are gifted. Below are some of the meanings to help you better understand each and the path that might be best suited for them. Indigo children always seem to make waves. They do not accept authority and are intuitive, psychic, creative and fearless. They get frustrated and can be insecure, so they need to be raised in an environment with clear boundaries and structure, so they can feel safe growing up. With the proper guidance and nurturing, these children will grow up to make changes to old traditions and help open up the world to new ways of thinking. These types of children grow up to be great business leaders, politicians, and critical thinkers. The downfall is that they do not learn the same way as others. They tend to need more “hands-on” learning and can become bored with regular schooling. Crystal children are healers. They are in touch with their own energy and happy to share it with the people around them. Usually, they have a parent who is an Indigo adult. Crystal children are emotional and make decisions based on intuition and feeling rather than just the facts. They are great at connecting with young children, animals, and vulnerable people. They are born comforters. Crystal children grow up to be great doctors, nurses, and counselors. There are some that I know of that have grown up to be veterinarians, massage therapists, and even school teachers because of their strong intuitive senses. Rainbow children are sometimes referred to as “new souls.” They usually have a parent who is a Crystal adult, so at least one parent will understand them. To everyone else, they may be threatening because people will resist their visions and their actions. Rainbow children are brave, loving and strong. They cannot be contained. They are often telepathic and march to their own beat, unconcerned about what other people think of them. Rainbow children oftentimes will spend time alone. They are thirsty for information and absorb new ideas and teaching quickly. They are very well rounded and jump from hobby to hobby or change groups of friends quickly. They love to travel and adventure and have creative brains. Rainbow children grow up to be great marketers, inventors, and managers. They love setting goals and working to achieve them. They prefer to work in the background but will stand behind any growing company or person as a silent partner or backbone. So how do we help these children embrace and accept their intuitive gifts and their special place in the world? It starts with listening to them and being open to hearing their stories without judgment or fear. It is important to remember that a child who seems different is not bad or wrong. Just different. When a child talks about his or her vision of the future or some idea that seems, well, crazy to you, stop for a moment and just listen. You may be in the presence of a child with psychic gifts, gifts that can help the world. It’s true that I suppressed my psychic gifts in my teens, but because my mother and grandmother were there to help me feel normal in my childhood when it was time for my gifts to resurface, I was ready. When you experience a coincidence, what do you do? Do you shrug it off and think it’s no big deal? Next time a coincidence happens, pay attention. It could be a message from your loved ones in Heaven. Meaningful coincidences, synchronicities, come in a lot of different forms. If you pay attention, I bet you’ll see a lot of these. A friend of mine keeps a little notebook to write them down when she notices synchronicities. She calls them miracles. Here are a few ways these meaningful coincidences show up in our lives. Have you ever had the same number show up over and over again? Sometimes a number will seem to randomly show up everywhere you look. But it’s not random. Noticing the same numbers on a clock is one example of a meaningful coincidence. Dates are another way numbers can show up to help us know our loved ones are helping us. A friend of mine lost her father at an early age. She says that sometimes things happen on her father’s birthday. It always seems like a coincidence at first, but now my friend sees that there is a message in that date. One year, she was laid off on her dad’s birthday. Because it happened on that day, my friend knew her dad was looking out for her and everything was going to be okay. Sure enough, within two weeks, she had an even better job that took her career in a whole new and exciting direction. You hear the same song in the grocery store, on the radio, on the speakers at work. Such a coincidence! But is it? When you hear the same song over and over again, your loved ones in Heaven just might be trying to connect with you. Keep in mind that this song caught your attention for a reason! Listen closely to the lyrics, especially if they are repeated a lot. There’s probably a message in there. Maybe an answer to a big question. If you want to start noticing the coincidences, synchronicities, keep an open heart. Take some quiet time to clear your head from all the messiness of life. Maybe keep a small notebook and write down coincidences. At first, it is sometimes hard to notice these coincidences or think of them as meaningful. When you pay attention, you will start to see patterns, and then you will start to see them more and more. Your loved ones want to stay connected. Make sure you pay attention, and they will keep connecting with you. 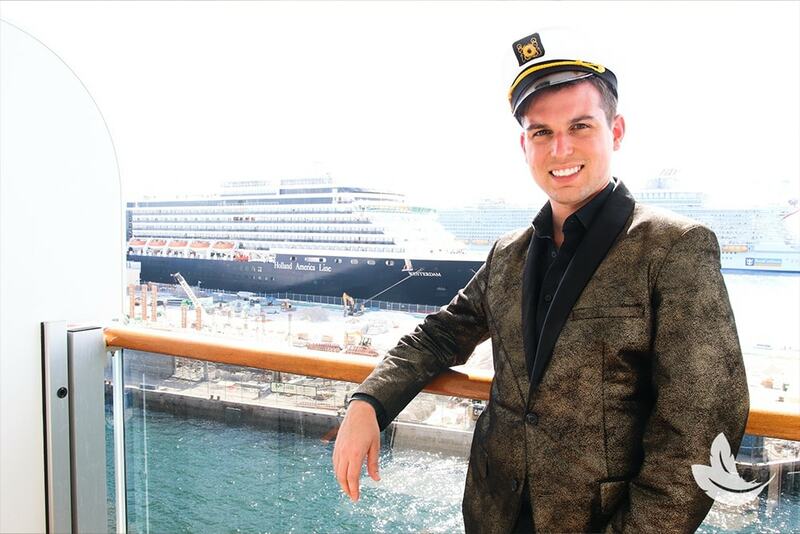 Cruise the Caribbean with Me! Death is the most challenging thing that you can ever go through. 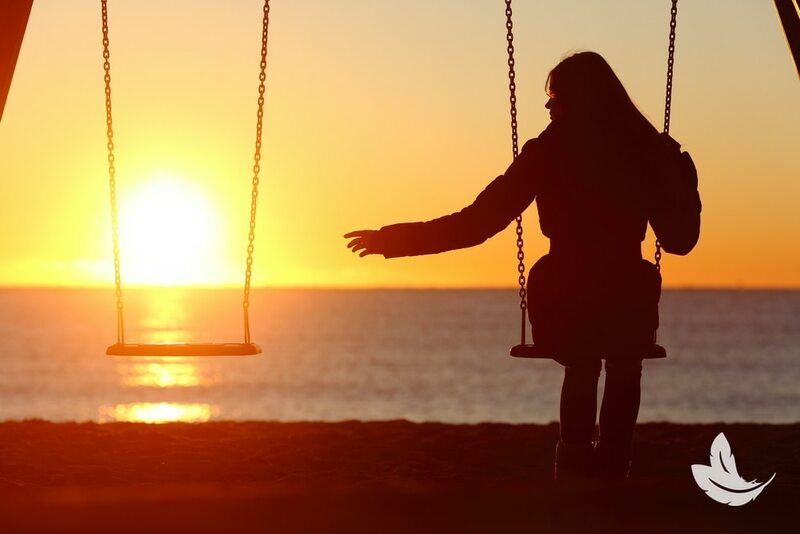 When you lose a loved one it can make you feel disconnect, alone and isolated. As a psychic medium I know this all too well. Clients come to me struggling not only because they are missing someone, but also because they feel that it’s not right for them to celebrate life. Through my many conversations with Heaven I have learned that your loved ones are always with you. They are watching over you, guiding you and more importantly wanting you to live your life to the fullest. They want you to still be able to live your life as though they are still with you, as difficult as it may be. Thats where I come in. For those of you who are not familiar with my work my name is Matt Fraser. I’m a Psychic Medium with over a decade of experience connecting people to their loved ones who have passed on to the Other Side. I’ve written a best-selling book about my story and my abilities, I’ve been featured on nationally-televised shows, I have a sold-out speaking schedule and my private reading waitlist is now over a year long. But all of that success pales in comparison to the joy I get from sharing my ability to bring you closer to your loved ones, and to the amazing and extraordinary life they want you to have… and that you deserve. Sometimes the noise and fast pace of our lives can be overwhelming, keeping us from hearing the whispers of loved ones in Heaven. Wouldn’t it be great to just float away from it all and concentrate on connecting with your highest self – even building your own psychic gifts? You can do just that by joining me on a 7-day Spiritual Odyssey in the Caribbean. We’ll leave from Fort Lauderdale Florida on February 24th and spend a glorious week exploring the Bahamas, Jamaica, The Cayman Islands, and Cozumel, Mexico before returning – tanned, refreshed and transformed – on March 3rd. Explore tropical islands and commune with nature. During the cruise, we will stop in some great places and share some amazing experiences. I can’t wait to hang out with you! Have you ever swam with dolphins? They are such intuitive, special beings. Together, we will commune with dolphins, feed butterflies, and visit beautiful beaches with crystal clear water. I’ll lead you on a guided meditation on the beach. What a wonderful opportunity to get in touch with your spirit guides and angels! Mingle with like-minded people, and open your heart to receive a healing message from Spirit. On board the ship, we’ll gather together for three group readings. If you’ve never been to a live reading, there’s really nothing like it, and when you combine the magic of mediumship with the otherworldly beauty of the Caribbean – well, I can tell you this – it will be unforgettable! You might get a direct message from a loved one, but no matter what, you’ll feel the presence of Spirit all around you. Being at a live event might even open up your own psychic and mediumistic gifts. And many people have told me that the opportunity for calm reflection, combined with the readings and the experience of being at the event gives them a perspective and hope as well as a stronger connection to Spirit. Many people ask me how they can improve their own psychic abilities and intuition. During the cruise, I will be giving a master class on just that. It will be a wonderful opportunity to help you tap into your own psychic voice. Especially in such a beautiful, peaceful setting, you will have the chance to improve your own abilities to feel and hear messages from Heaven. I get it. When you’re busy, it’s easy to put yourself last on your list of priorities. I urge you to give yourself something special to look forward to, and join me for this once in a lifetime experience. After all, where else can you relax, explore AND connect with the Spirit realm, all in one week? 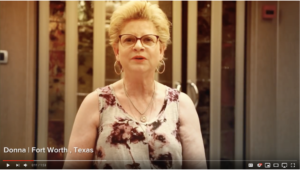 I invite you to check out some highlights from my last cruise and learn more about this year’s Personal Odyssey on the Sea by clicking here! Your mind, body and soul will thank you!